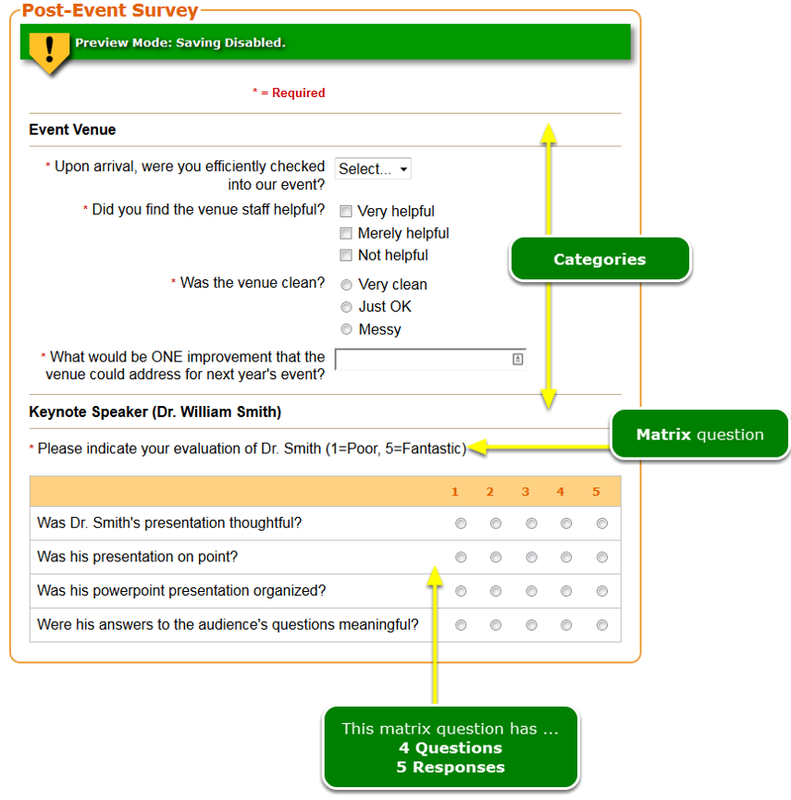 Help Documents - Version 5 Post-Event SurveysHow do I create a Post-Event Survey? 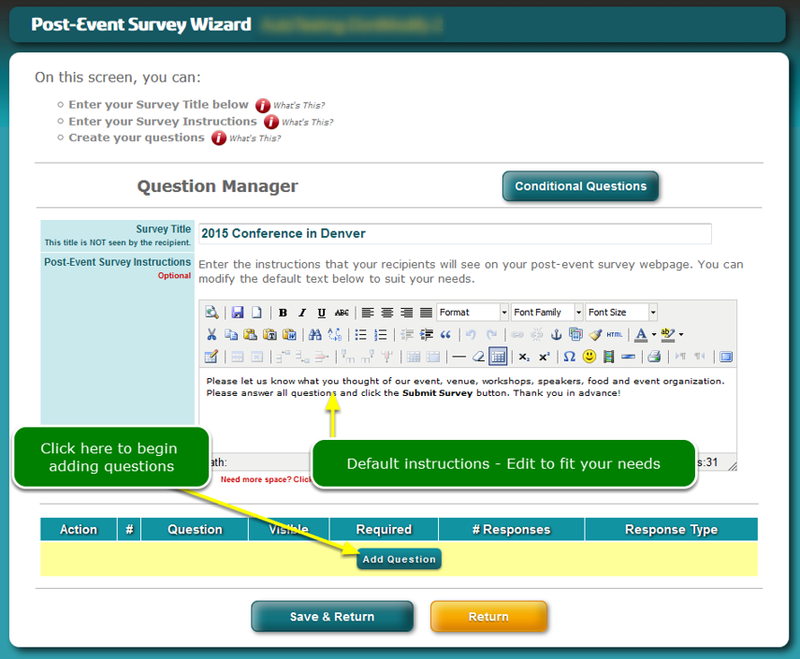 Open the Post-Event Survey tool. Add a Category. A category is not required; but highly recommended. 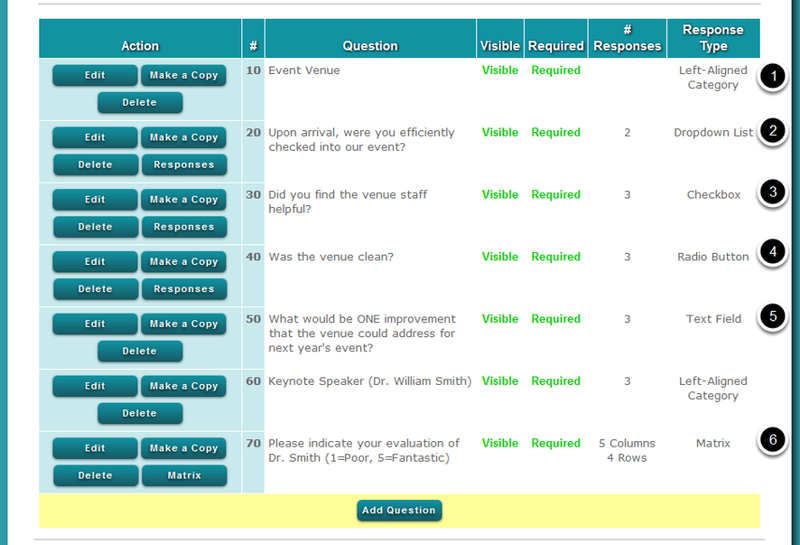 Categories serve to organize your questions. For example, Venue, Accommodations, Keynote Speaker, Transportation, Food, etc could all be categories. 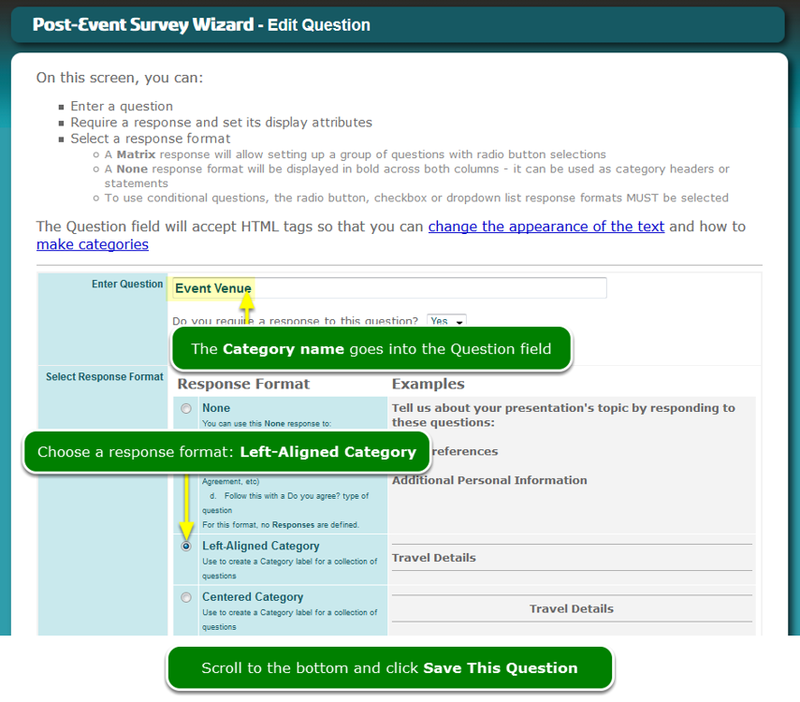 Each category has related questions. Scroll to the bottom and click the Save This Question button. In this example, there are 7 questions. Numbers below match numbers in the black dots below. This example has no conditional questions. 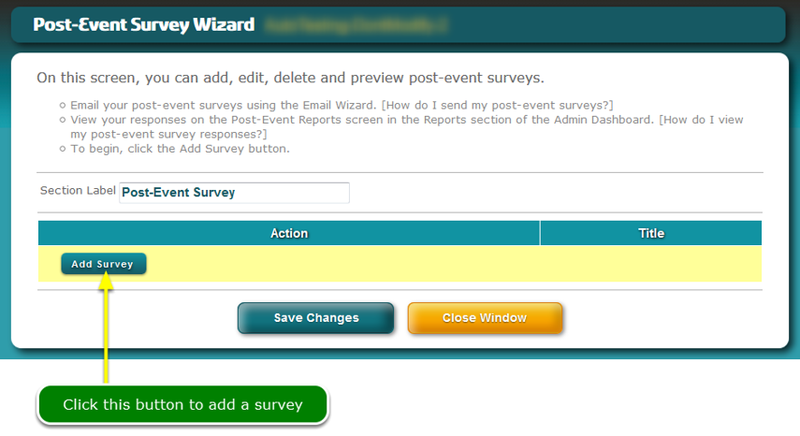 Zoom: Now preview your survey. The preview opens, in read-only view. Zoom: The preview opens, in read-only view. Next: How do I set up a matrix of questions?